About 5 million urinary catheters are placed each year in all healthcare providing centers. 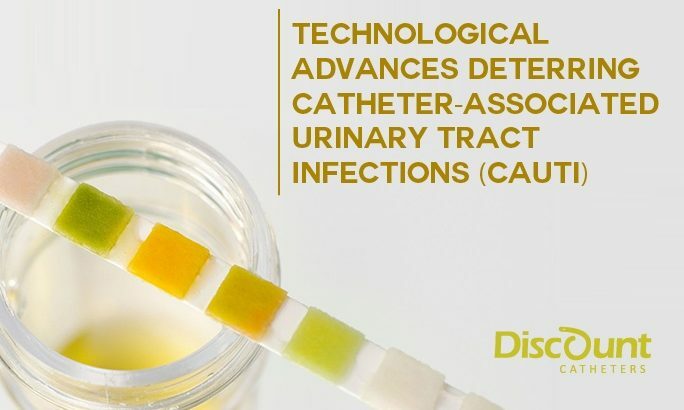 As such, it is not surprising that catheter associated urinary tract infections (CAUTI) are the leading cause among nosocomial infections in hospitals. There is a direct correlation between the rate of CAUTI and the number of days the catheter remains in place. While the technology of catheterization has improved, we have not yet figured out how to completely prevent CAUTI from occurring. However, there are ways to significantly lower the likely-hood of CAUTI as we shall see in this article. In order to properly combat CAUTI, it is of utmost importance to understand its pathogenesis. Most of these infections are caused by organisms that gain access through the urethra. In humans, there is a natural occurrence, or presence, of bacterial flora that surrounds the distal part of the urethra where the expelling of urine occurs. When a catheter is introduced into the urethra, the catheter tip will often times carry some of these microorganisms further into the urethra where they form a biological film while adhering to the epithelial walls of the urethra and bladder and cause CAUTI as a result. These biofilms made of bacteria (or fungus) are often times unaffected by our immunological system and even antibiotics. Once this scenario is setup, the microorganisms in question can cause inflammation, add the fact that introduction of catheters into the urethra can cause physical damage of the urethral walls at a microscopic level to exacerbate infection and you have a perfect recipe for a CAUTI. Also, The presence of microorganisms can be found in the outer part of the catheter as a result of contamination from the patient or healthcare practitioner. Bacteriuria (bacteria present in urine) can occur to previously catheterized patients due to residual urine in the bladder. The accepted microorganisms concentration in urine collected from a patient with a catheter to make a diagnosis of true CAUTI is >102 or 103 CFU/mL. This is an important mark for treatment assessment and research purposes. Catheterizing the patient elsewhere other than a sterile environment, such as an operating room. Poor positioning of the urine bag where risk of backflow is high. These guidelines are aimed at preventing or minimizing CAUTI. Staff and patients should observe aseptic techniques during catheterization or changing. Using prophylactic antibiotics can also reduce the risk of CAUTI. Commonly used drugs include trimethoprim-sulfamethoxazole and methenamine mandelate. The risk of antibiotic resistance with this method is high though. This approach is controversial since many cases of CAUTI are symptom-free. It is only truly justifiable in a few select patients going for uro-genital procedures and in those with immunosuppression. Using catheters impregnated with antibiotics and silver hydrogel significantly lowers the risk of CAUTI in a patient. This solution works by inhibiting the ability of microorganisms to adhere to the epithelial walls of infection-sensitive urological organs such as the bladder and urethra. The mainstay of the new approaches in CAUTI focuses on the use of anti-infective lubricants. These lubricants can be applied to the outer and inner walls of the catheter. Other related efforts have involved the irrigation of the bladder and by instilling anti-infective agents into the urine collection bag. This prophylactic strategy has been evaluated for a 25 year period with no conclusive benefits. Ironically, bladder irrigation has appeared to increase incidence of drug resistant organisms. On the other hand, the use of closed catheter system has shown significant drop in catheter associated urinary tract infections. Use of more powerful anti-infective agents.